Cross Fit is a concentrated, intense 30 minute or less workout that has me sweat and my heart rate go to a state I would never go to on my own. I’m the type that needs the directions on what to do, the guidance, the motivation, the great music and the group to keep me in the game. Here’s what I know: this concentrated time has changed everything for me—physically, emotionally and creatively. It is now a non-negotiable part of my life. Cross Fit has become a part of me that I won’t do without. Related, if this concept of concentrated intentional time grabs you, you must get yourself to my Bigger Game LIVE event next week! You will receive guidance, wisdom, motivation, group support and great music… all in service of the next Bigger Game in your life—whatever that may be for you. I know, it may sound crazy due to the fact that it’s next week—yet, it might be time to simply say yes, and make it happen. Remember, concentrated intentional time works way faster than sitting around deciding what to do next. Are you ready to stop wandering around? Are you ready to focus on making something real? 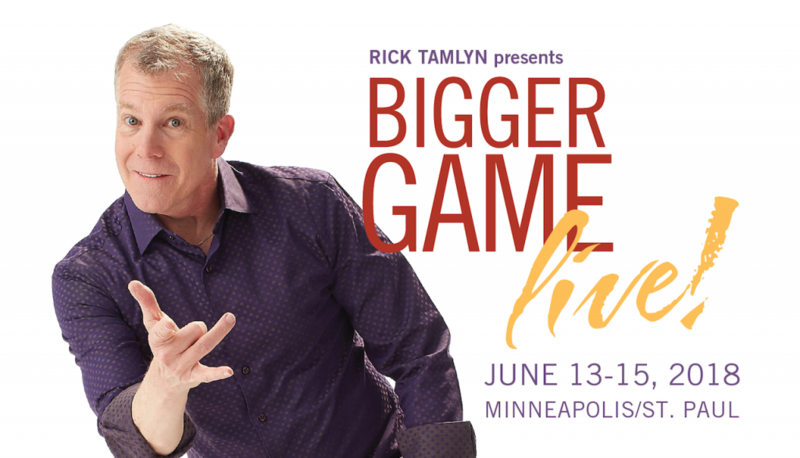 Learn more about Bigger Game Live!